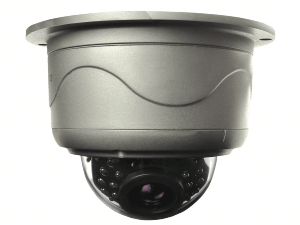 IR Dome Camera MD3 WDR series with WDR function, the cameras can get good image quality in dark environment. With high resolution and a combination of outdoor-specific features such as concealed wiring to prevent tampering, this cameras are suitable to be used in applications like building entrances, airports, schools and hotels. MD3 WDR series support 1280 x 720 resolution, delivering super H.264 compression image quality up to 25 fps. Dual video streams can be delivered simultaneously in different resolutions, frames rates and image qualities for monitoring on different platforms to meet varied requirements. If you have any query or want to place an order please contact us now at 9315441078 WhatsApp 9315441053, 9818390836 or email us at info@ampletrails.com of fill the below Inquiry Form.